We love going to fun Christmas events to get into the Christmas spirit. 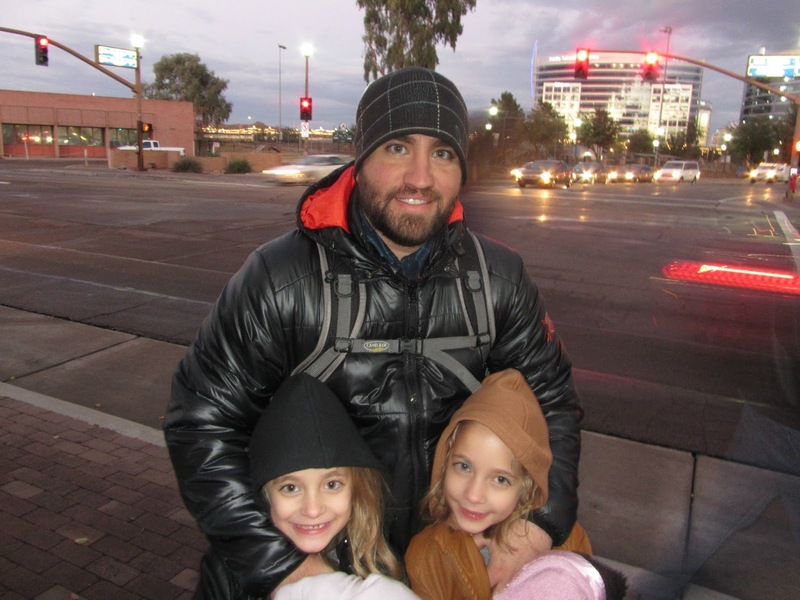 To kick it off this year we headed to the 59th annual Tumbleweed Tree lighting (we've gone several years in a row but skipped last year as we were on The Polar Express). The girls LOVE the parade and we love to see how excited they get. Reece slept like an angel the entire time but the crowd was a bit much this year. It seemed like there were so many more people than in past. Nana, Papa, and Isaac met us there to join in the fun. This was as close to the tree we were willing to get. We were all ready for home and Reece was ready for dinner. Our next Christmas experience was the girls' performance at school. They are too cute! 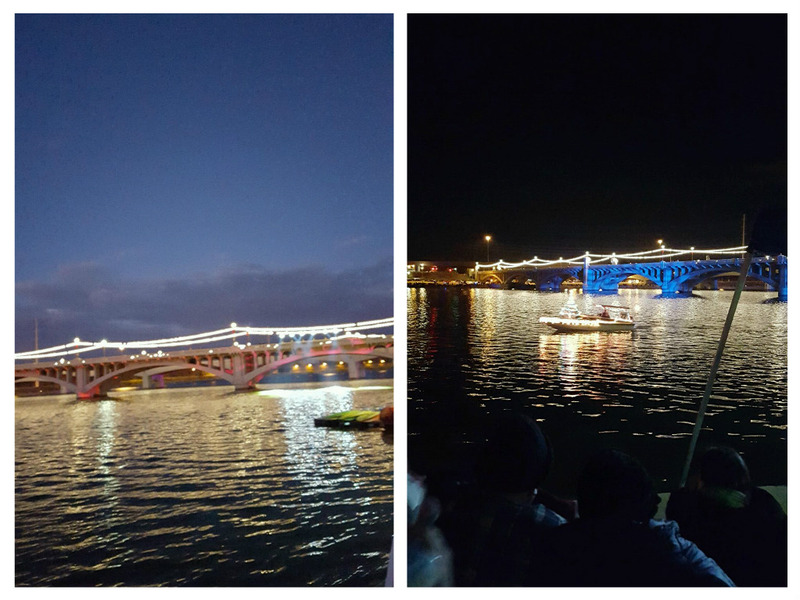 Next we braved the crowds and went to Tempe Fantasy of Lights Boat Parade. It was fine but doubt we'll go again. I wanted to try out a new European inspired brewpub called Pedal Haus Brewery while we were in the area but wasn't sure if it was kid friendly so I settled for Zipps. I'd like to check that off my list for next year plus a couple other places I spotted as well. The event ended with a great firework show. Jingle Jog at the girls school. We also made it to our old neighborhood to check out The Loop of Lights. We haven't seen it for a few years since we moved, it has changed a lot. The main event if you will was the house at the end of the loop that I'm sure started the whole concept. They went all out with synchronized music to their lights with popcorn and characters to take pictures with. Some people really know how to have fun! Ava was lucky enough to get a ride back to the car. The girls minus Stacy and Mabel. I love Christmas time and these are just a few reasons why.